The B.C. government took steps Monday to reduce some of the pressure in Metro Vancouver's overheated real estate market, introducing legislation that would add a 15 per cent property transfer tax for foreign nationals buying real estate there. The new rules take effect Aug. 2 and only apply to home purchases in Metro Vancouver, excluding the treaty lands of the Tsawwassen First Nation. Provincial Finance Minister Mike de Jong unveiled the tax as part of legislation aimed at addressing low vacancy rates and high real estate prices in southern B.C. "For example, the additional tax on the purchase of a home selling for $2 million to a foreign national will amount to an additional $300,000," de Jong told members of the legislature. All B.C. residents currently pay a one per cent tax on the first $200,000 of their purchase, two per cent on the remaining value up to $2 million and three per cent on any portion above that. 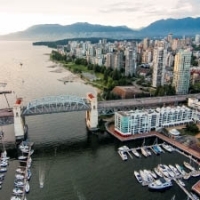 Last month, the Real Estate Board of Greater Vancouver said its benchmark price for detached properties in Vancouver had risen above $1.5 million. A financial report last week showed the province collected about $1.5 billion from the property transfer tax in the last fiscal year, up almost $450 million from the previous year. "The amendments include anti-avoidance rules designed to capture transactions that are structured specifically to avoid the additional tax," de Jong said. The revenue from the additional tax would be used to fund housing, rental and support programs, the minister said. The government says the new tax is aimed at making housing more affordable for middle-class buyers. De Jong said recent government housing data indicate foreign nationals spent more than $1 billion on B.C. property between June 10 and July 14, with 86 per cent on purchases in the Lower Mainland area. "Owning a home should be accessible to middle-class families, and those who are in a position to rent should be able to find a suitable home," Premier Christy Clark said in a statement Monday. Vancouver Mayor Gregor Robertson welcomed the changes and described them as "overdue." "I've been calling for years now for the province to take bold action to deal with housing affordability, and the impact of global capital on our market here," Robertson said. "It's too early to judge whether or not it will have a significant impact, but it's good to see, particularly on the high end of the market. "We need an intervention there." But NDP member of the legislature David Eby criticized the tax, saying it unfairly singles out foreign people instead of foreign money. "It penalizes new immigrants who are working and living here, but don't have citizenship yet," Eby told CBC's On the Coast. "I fear we're going to be back in six months fixing this problem," he said. "I think it's widely recognized that this is probably the absolute least they could do while saying they're taking action on this issue." But Vancouver-area Realtors said the tax goes too far. The president of the Real Estate Board of Greater Vancouver accused the government of acting too quickly. "Housing affordability concerns all of us who live in the region," Dan Morrison said in a statement. "Implementing a new real estate tax, however, with just eight days' notice and no consultation with the professionals who serve home buyers and sellers every day needlessly injects uncertainty into the market." According to a release, the government defines a foreign national as someone who is not a Canadian citizen or permanent resident, "including stateless persons." The release defines foreign corporations as companies "not incorporated in Canada or, incorporated in Canada, but controlled in whole or in part by a foreign national or other foreign corporation, unless the shares of the corporation are listed on a Canadian stock exchange." Very impressed with Kathy's knowledge & ability. I would recommend her to anyone.